Soft padded terry cloth upper with adjustable tab closure for maximum comfort. 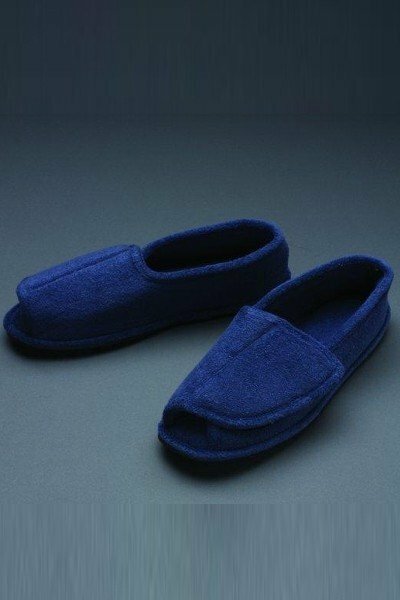 These classic looking yet functional slippers feature a non slip rubber sole for safety when walking. Machine washable. Wide width. Navy.